Jed West is Mr. Hockey. The captain of the NHL’s latest winning team, the Denver Hellions—and the hottest player on the ice—at least according to every magazine... and Breezy Angel. Breezy has been drooling over Jed at games for years, and he plays a starring role in her most toe-curling fantasies. But dirty dreams don’t come true, right? So what’s a fangirl going to have to do to convince her ultimate crush that he’s become less of a perfect fantasy, and more like the perfect man... for her? I love hockey and hockey romances. While this story does involve hockey, it occurs during the off-season. As in, they just won the Cup. There are a lot of strings and plot twists in this book and I feel the author just scratched the surface of most of these. The story with Jed and his brother's football injury could have been explored in more detail, giving a strong insight to the injuries that athletes face that have both short- and long-term effects on both the athlete and their families. Breezy's issues stem from her lack of self-confidence and her mother's belief that she never applied herself as much as she could. When Breezy decides to make a major life decision, her mother's all flowers (literally) and roses. 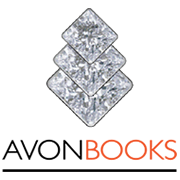 I did like the book and will probably read the next book in the series, because hey, I love hockey, but I hope the next book delves a little deeper into the issues that face the couple. This is an addicting read that I didn’t want to end! I love that it’s not your typical “sports read,” it has a unique storyline that will have you unable to put it down. Jed West is the captain of the NHL’s Denver Hellions and he’s the current “it” man of hockey. Through a series of crazy events, Jed meets Briana Angel aka Breezy, his biggest fan – though she doesn’t let him know that. Breezy’s entire world just about revolves around two things – family and hockey. She and the women in her family are the biggest Denver Hellions fans around and Breezy in particular worships Jed West. Breezy is your typical bookworm and can’t believe it when the gorgeous Jed is showing interest in her… causing her to withhold the fact that she is his biggest fan. Then when Jed’s doctor gives him some news that could change things forever, the person he confides in is Breezy… when the paparazzi finds out at the same time that Jed discovers Breezy’s fandom, things get really interesting. This book is laugh-out-loud funny, basically from page one I had tears streaming down my face from laughter. This book is super-fast paced, I devoured it in one sitting and I absolutely love the way the author introduces the characters for the next book and I cannot wait for book two so that we can get their story. 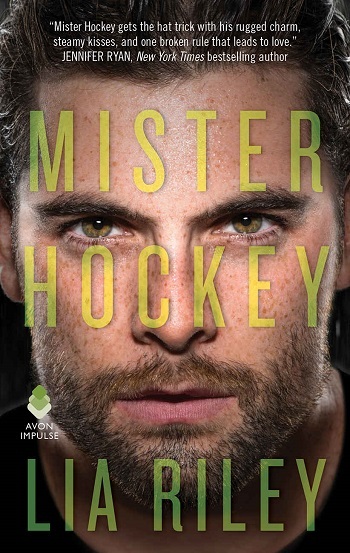 This is the first in a new series – a hockey sports romance series no less – so I was delighted to get the chance to read Mister Hockey. We get a little insight into the Hellion team and success, but the story revolves around their captain, Jed West. He has a past that makes him really consider whether the sport he loves is worth what he fears the most. Through a series of humorous misadventures, Jed meets Breezy and they form a connection (literally, and frequently! ), but it is based on her claim of not being a huge fan of his. This is inevitably going to lead to trouble, and a few crazy capers. I really liked the comedy, but the serious side was well covered too; it was really only the speed of the romance that seemed surprising. But actually, I think it may have been perception rather than reality, as some events surely took longer than a few days – e.g., business loans, leases, etc. So, I gave the insta-love feel a bye, given it probably just highlighted the key parts. Some of the characters definitely have mileage in them – such as Breezy's granny, and the clear hints about Neve, and the Hellions coach mean that we will hopefully get to see more of Jed and Breezy too. Reviewers on the Wicked Reads Review Team were provided a free copy of Mister Hockey (Hellions Angels #1) by Lia Riley to read and review.